Each spectrum was created from just one image acquired with a back-illuminated, 512 x 512 CCD camera. KestrelSpec software was used to combine the various orders, normalize the spectral sensitivity, linearize the spectrum, and plot the results from 200nm up to 1 micron. 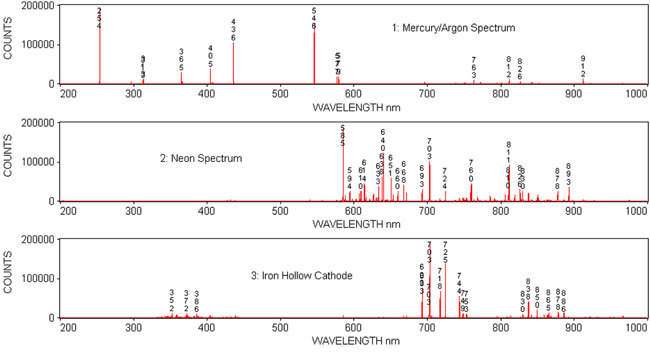 The Neon-Iron Hollow Cathode spectrum has an absorption filter in the light path to reduce the intensity of the neon lines.